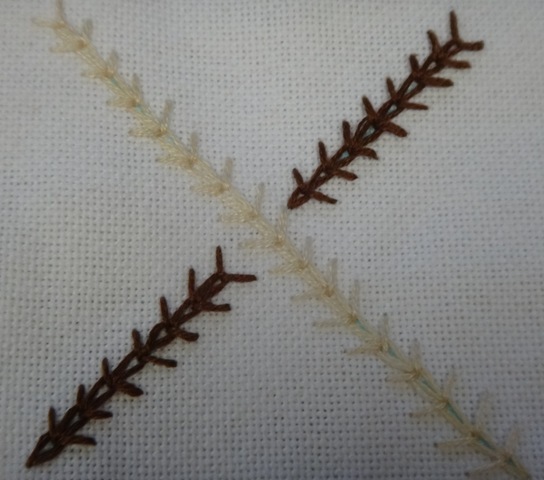 The Wheatear stitch is this weeks stitch for Take A Stitch Tuesday. http://pintangle.com/tast-faq/ This was a brand new stitch for me. It was a bit hard at the start but I really liked it the more I did it. 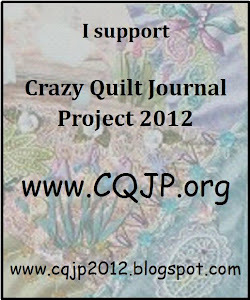 On the forth quarter of my April Crazy Quilt Journal Project http://www.cqjp2012.blogspot.com I added the Wheatear stitch in two colors and a motif from some lace. This completes my APRIL CQJP BLOCK……..4 down and 8 to go. 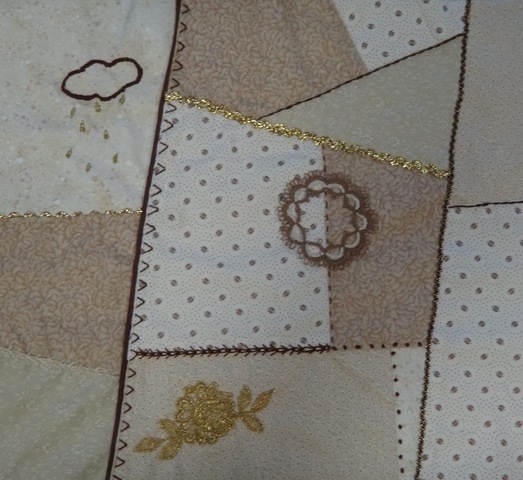 This entry was posted in April, CQJP, TAST, Weatear stitch. Bookmark the permalink. 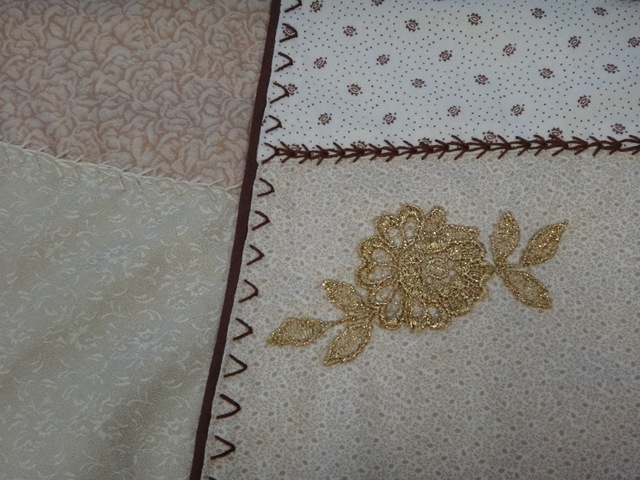 This is beautiful in a line like this as a seam-like stitch! Love the brown too!!! I will call this the chocolate wheatear!!! hehehehe.